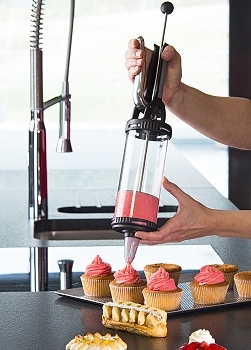 Professional Le Tube Portion Deposit Gun has multi-uses in the bake-shop and kitchen. 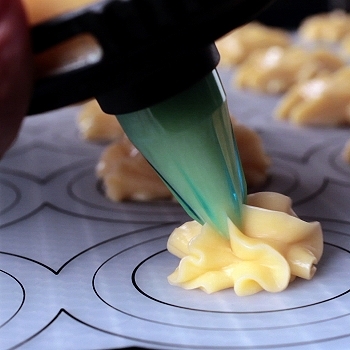 Simple, fast and accurate, Le Tube is intended for the same uses as a pastry bags. 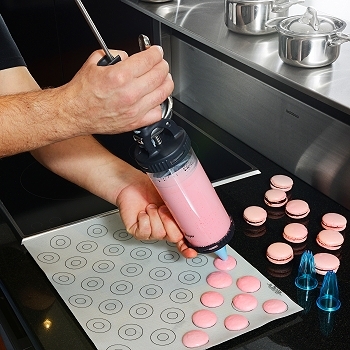 • Pressure syringe: effortless portioning of buttercreams, creams, mousses, batters, fillings and cookie dough. 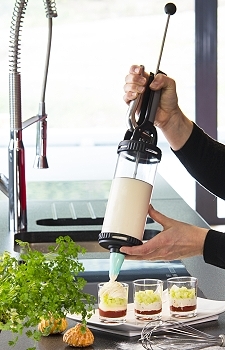 Ideal for garnishing, filling, decorating and delicate work. 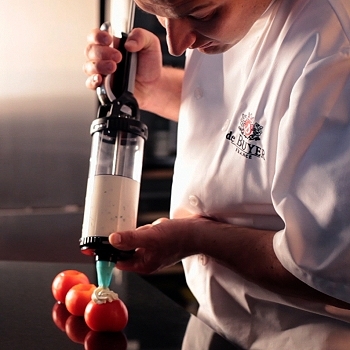 • Precise syringe system stops the flow between presses for neat and precise work. 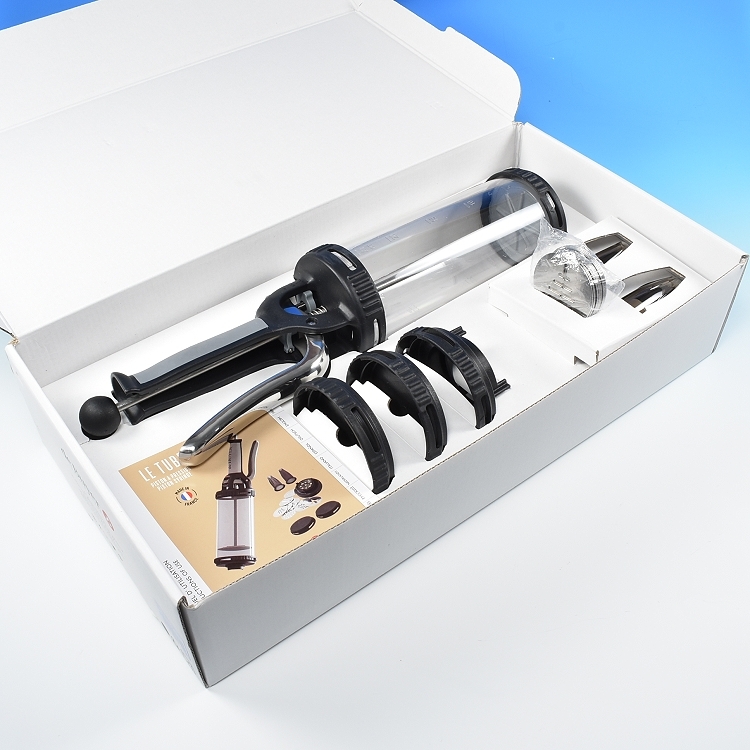 • Ergonomic non-slip grip upper handle and lower stainless steel trigger make it comfortable and sturdy for years of dependable service. • Amount that is dispensed each time is controlled by a convenient knob with graduated markings. Will deposits a very precise amount from 0.5 ounce to 1.5 ounces. 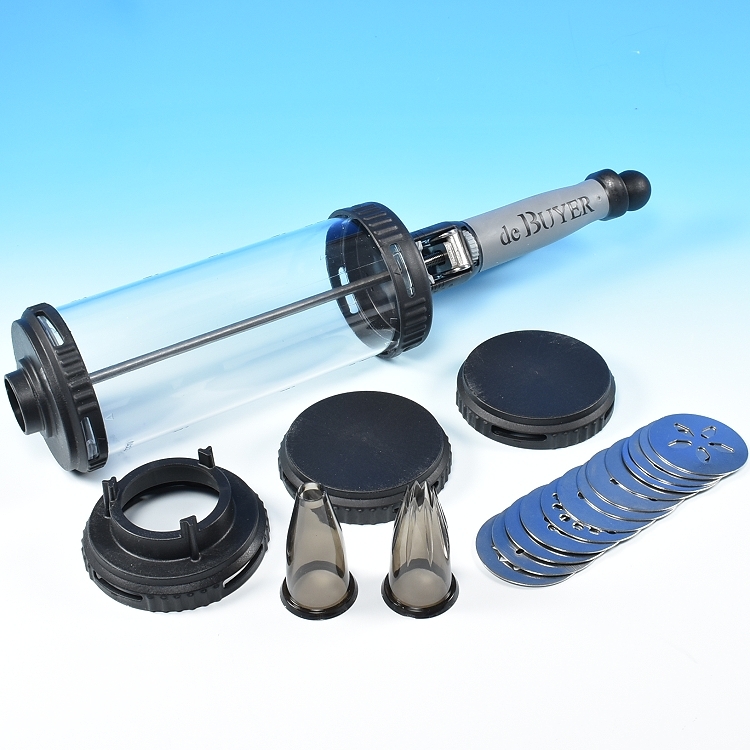 • .75 liters (25.36 ounces) capacity chamber, made of clear plastic for easy viewing of contents. Graduated in ounces and milliliters. 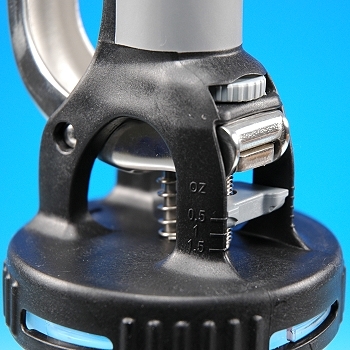 • Easy to disassemble and assemble, using a quarter-turn locking system.